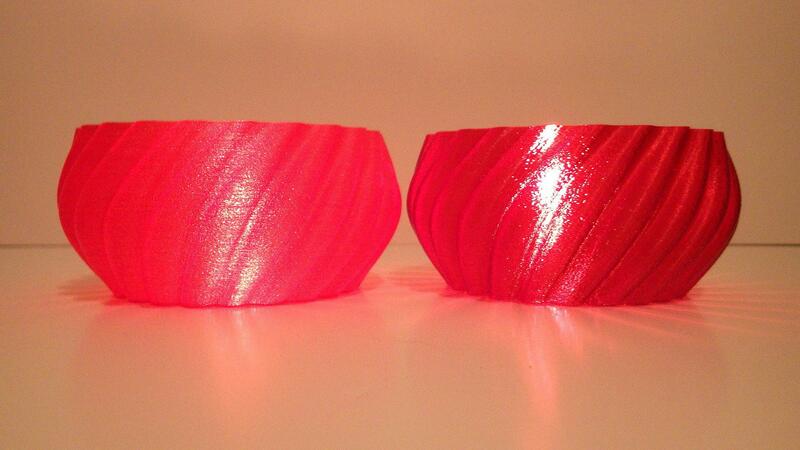 We printed bracelets and bowls on our Delta Wasp 2040 to test the settings for this material. We used Taulman Print Filament, T-Glase, Red 1.75 mm PETT. With the heated bed there was no problem with warping. This filament flows well but causes a lot of oozing. Printed objects with lots of retractions didn’t come out so well. Therefore objects like vases gave better results. 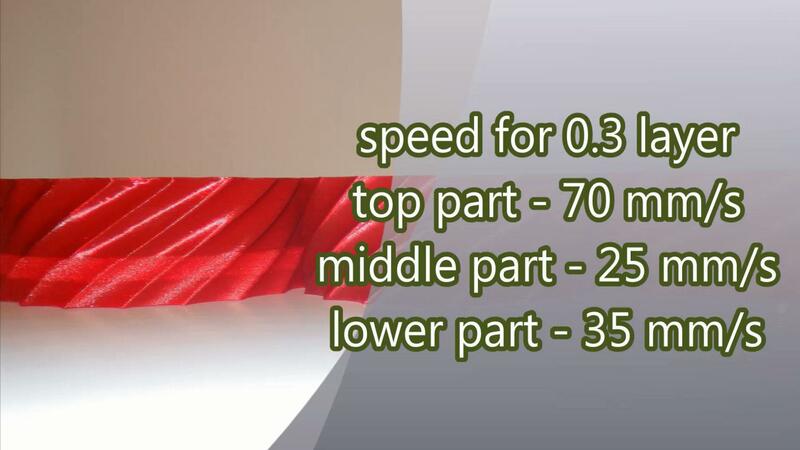 Slicer software has an option “vase mode” making the nozzle move in one direction. Our observation was that thicker layers made objects more transparent and shiny. Also, printing with 0.4 mm nozzle higher speed helped to make it look smoother. Please see the first picture above with a printing speed test. 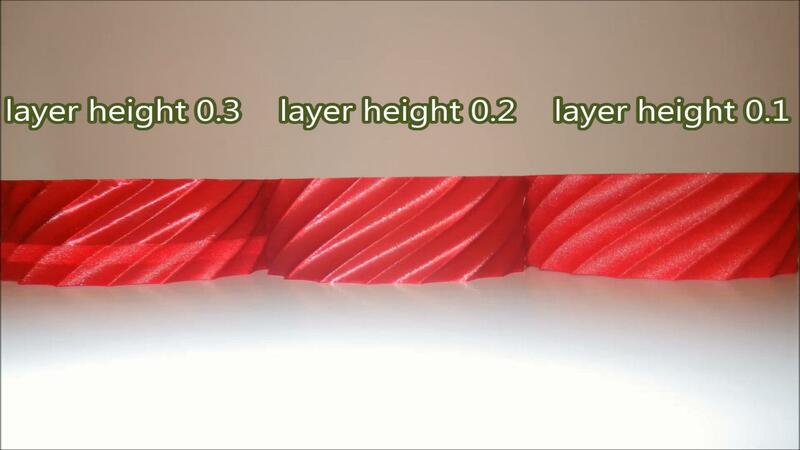 – PET is naturally colorless and transparent but there is all sort of filament colors available for 3D printing. – As it is food safe and waterproof it is commonly used to make water bottles and food containers. – PET is a basic material with many derivatives: PETG, PETT, etc. – PET is easy to recycle and it is widely recycled on the industrial scale. NB: It is not suitable for all printers as high temperatures may damage some extruders.